Supply dataset name, by variable, group variable and data variable. 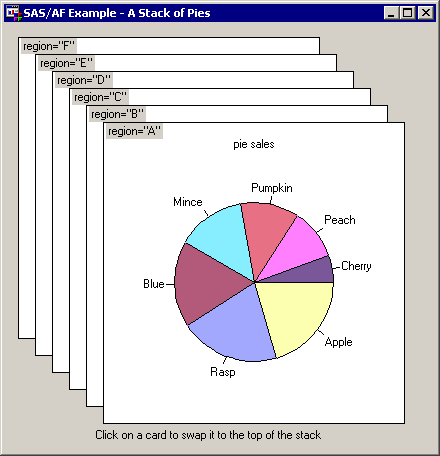 Get one pie chart for each by group. Click on a 'hidden card' lower in the stack to swap it to the top. This page was last updated 30 October 2003.